Makes sense right? 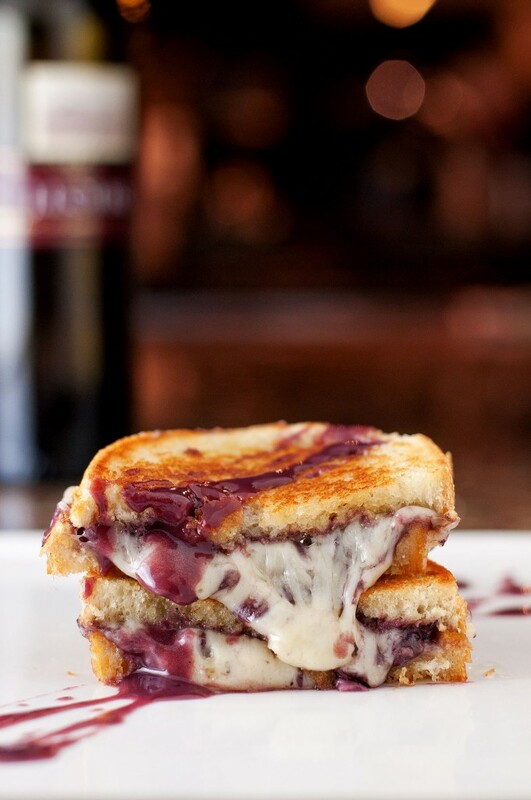 Everybody knows it, so WHY has nobody made a Wine & Cheese Grilled Cheese before?!?!? As I’m writing this, I decided to give it a Google, and found nothing! I like to think of myself as a bit of a grilled cheese trendsetter, so this pleases me greatly! Now that I’ve let the cat out of the bag, start making these!! Seriously, the options are endless. Take your favourite wine and cheese pairing, give the wine a quick reduction, spread it, stack that cheese, grill it and DEVOUR IT! But please be refined in your devouring, this is wine and cheese remember.